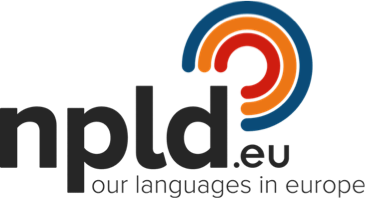 NPLD’s main goal is to raise awareness at a European level on the vital importance of linguistic diversity. NPLD also aims to facilitate the exchange of best practices among governments, policy makers, practitioners, researchers and experts from all over Europe. Over the past 25 years the face of language planning in Europe has changed considerably. Many national and regional governments have established language boards or departments to promote their language, both at home and at a European level. As a result a new breed of language planning professional has developed bringing new expertise to the field. The NPLD will respond to this development by providing a forum for the professionals to share best practice, and create strong partnerships to move CRSS language planning forward. NPLD works closely with the European Commission, European Union, Parliament and Council of Europe. During the past few years the Network has been very active and has created strong links and partnerships with a broad range of organisations and individuals across Europe who are active in promoting minority languages. 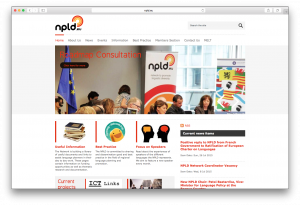 In November 2015, and following a robust consultation exercise, NPLD will launch its proposals for a new European Roadmap for Linguistic Diversity in Europe. This Roadmap will show how a bridge can be built between all the languages of Europe and the themes which are at the heart of the current EO policies of economic development, mobility and migration. The Roadmap emphasises that the issue of language needs to be central to all of the EU’s initiatives.